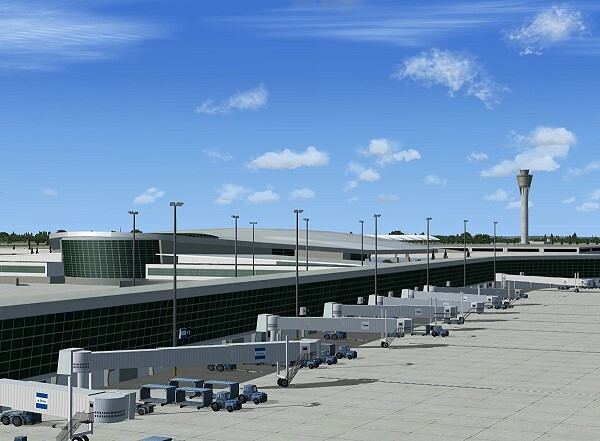 BluePrint Simulations invites you to participate in the opening of the newest airport in the United States. 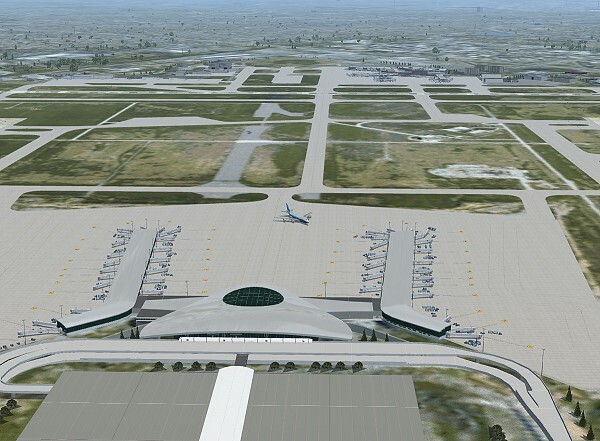 On November 27, 2008, a new facility will replace the current passenger terminal at KIND. The change is part of a redevelopment project started nearly two decades ago. KIND's transformation has been a long process that involved the construction of two parallel runways, expansion of the FedEx package sorting facility, and the construction of one of the most advanced aircraft reconfiguration and maintenance facilities in the world (originally operated by United Airlines and now by AAR Aircraft Services.) 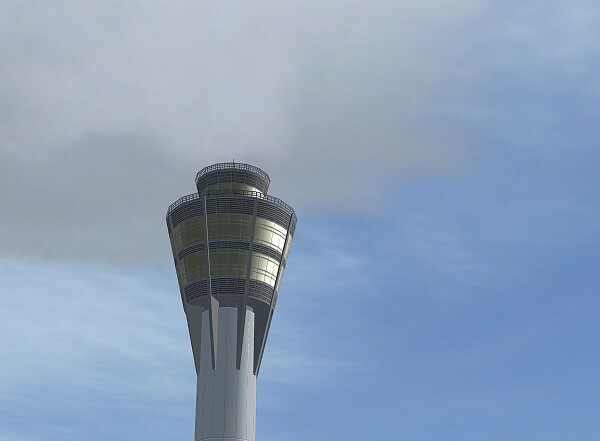 In 2006, a new air traffic control facility including a highly recognizable control tower (the third tallest in the United States) entered operation. The pinnacle of the redevelopment project will be the opening of the new passenger terminal. The new terminal will in fact become the newest airport in the US, only having in common with old airport its geographical location. The new facility features an elegant and futuristic terminal, with a softly curved roof and enormous glass walls. Two mirror-image concourses flank the terminal, giving the complex a unique look characterized by some as that of a well-known fantasy spaceship. Beyond its architectural beauty, the new terminal's location between the two parallel runways will transform KIND. The new configuration, already adopted by most modern airports around the world, is not only significantly more efficient but also much safer by eliminating the need for runway crossings by passenger aircraft during normal operations. 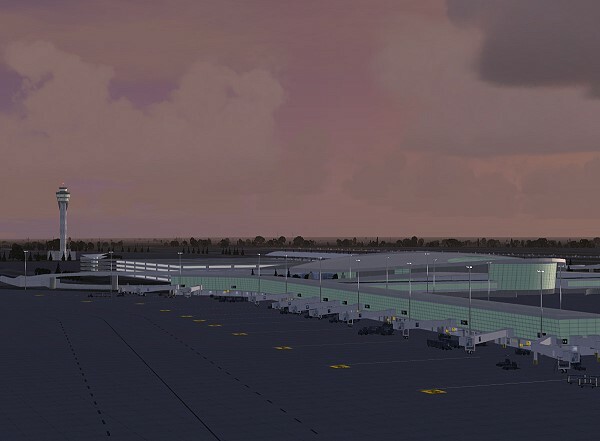 Based on pictures of the nearly complete structure, the new terminal complex has been represented accurately in our scenery. 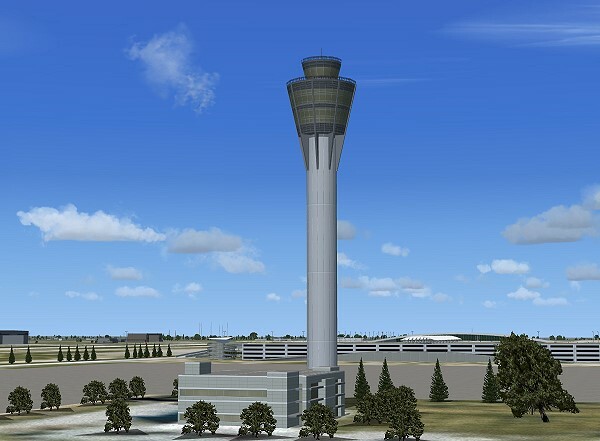 We have also accurately modeled the new control tower, the current terminal with its four concourses, and the FedEx package sorting facility. 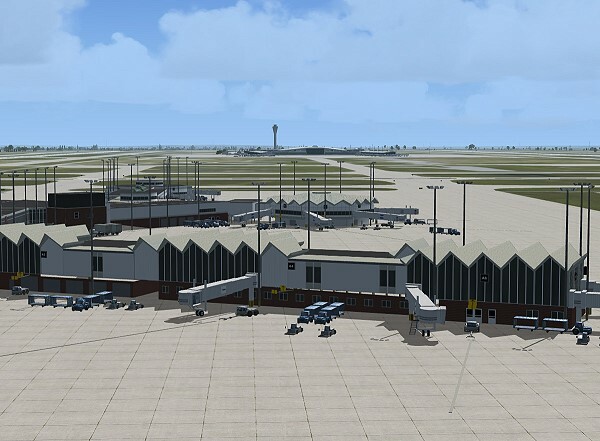 All other maintenance, cargo and general aviation buildings have also been modeled accurately. 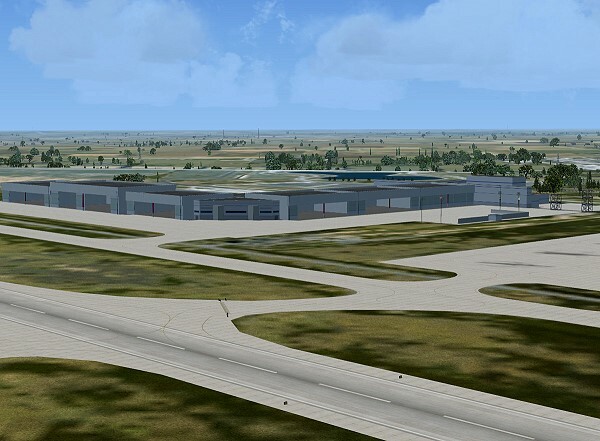 Especial attention was given to preserving the correct runway layout and orientation, while completely re-doing the taxiway and ramp configuration in order to fit reality. Our scenery is designed to give you the opportunity to be part of KIND's exciting transformation. As delivered, the scenery represents Indianapolis International airport as it exists today. 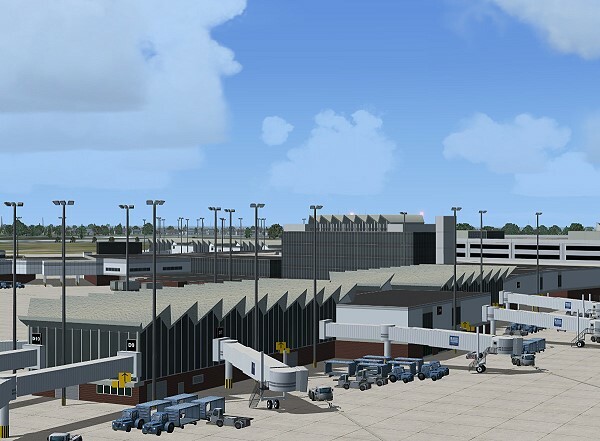 As in real life, the new passenger terminal can be seen its finished exterior has been reproduced as accurately as possible. It will, however, be inoperative as no jetways have been added. Also, AI traffic will utilize only the current facility. 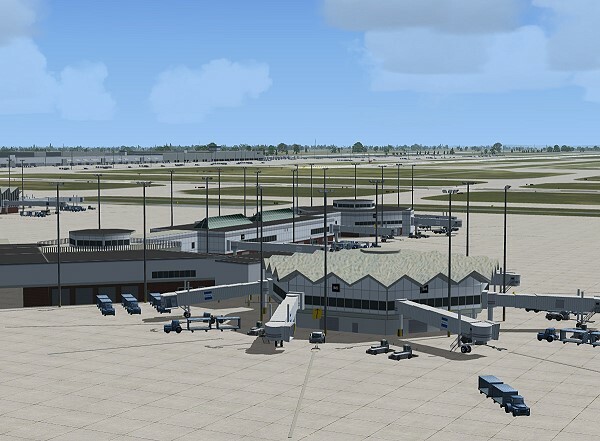 Just prior to the official opening day (currently scheduled for November 27,2008), we will issue an installer that will add jetways and vehicles to the new facility and a new AI mapping file (AFCAD) will direct traffic to the new terminal. 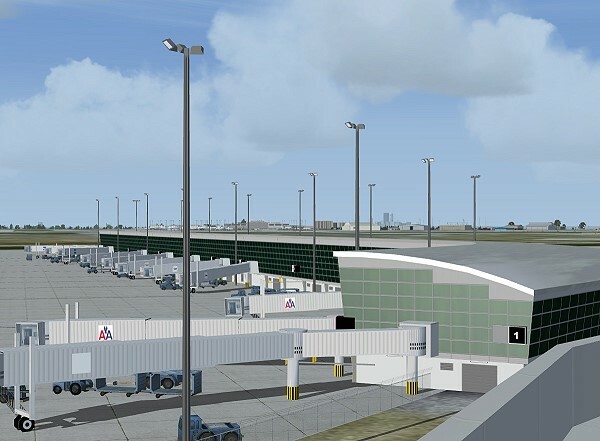 (Jetways may be added sooner if gate configuration and airline assignments become available.) The old facility will become inoperative at the same time. 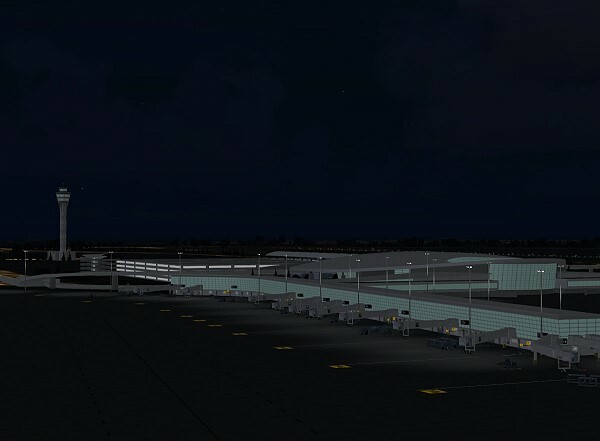 Jetways and other vehicles and equipment will be removed and the AI traffic will no longer utilize it. 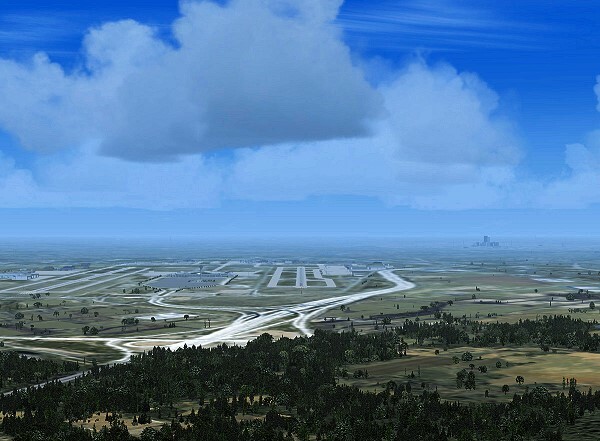 For those of you eager to experience the new airport right away, an installer containing the alternate set of files is now available for download here. 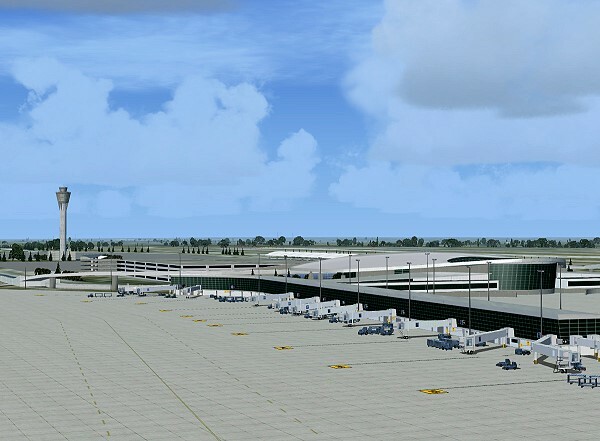 A few artistic liberties had to be taken in order to give an operational status to the still unfinished terminal, including gate and taxiway configurations as well as airline assignments. Please notice that the old terminal will also be rendered inoperative. 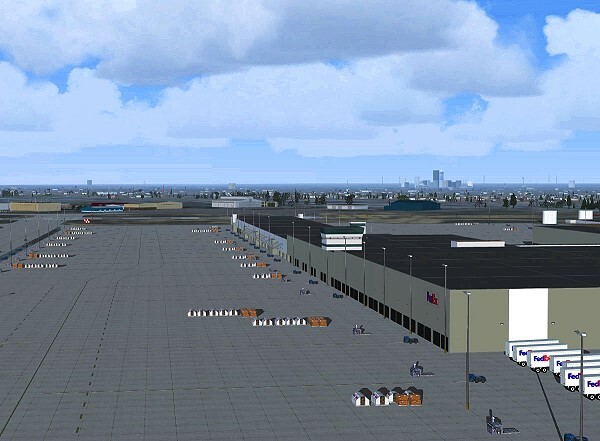 Custom-made, optimized Gmax models of most buildings within the airport grounds including the two passenger terminals and a total of six concourses, the FedEx package sorting facility, the USPS priority and express mail sorting facility, the AAR maintenance complex, and all other general aviation and cargo facilities. Custom-made, optimized textures for all Gmax generated buildings. 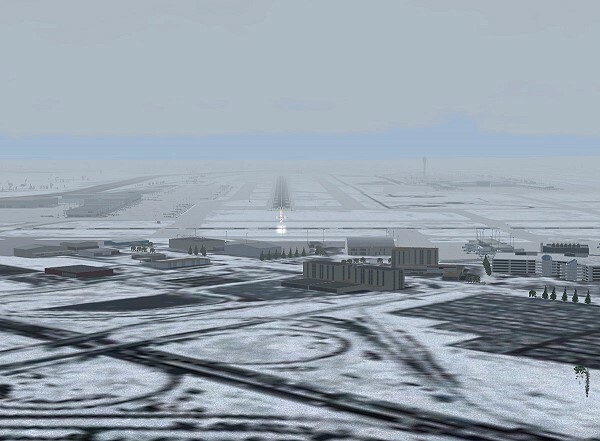 In the FSX version, reflective effects were used in the textures of all major buildings.